El Salvador is the smallest country in Central America. It is also the most densely populated and the most industrialized in that region. El Salvador is also among the most violent countries in the American subcontinent. 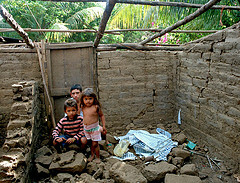 Salvadorian children have fallen victim to poverty, civil wars, and frequent natural catastrophes. 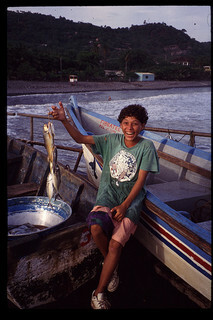 An estimated 4 out of 10 inhabitants of El Salvador live in poverty. Half of all the country’s children and teenagers live on less than US $1.25 per day. These conditions have serious consequences for these populations, whom lack access to sufficient nutrition, water, or sanitation services. El Salvador has one of the highest rates of criminal activity in the world. The country has also been named “the most violent in Latin America,” as its murder rate is the highest in the region. The National Civil Police (PNC) has recorded a total of 273 injured children over six months. Physical and sexual violence towards minors, as well as homicides, are becoming more and more frequent in the country. In fact, UNICEF has reported that 241 children between the ages of 13 and 17 were killed in the first six months of 2009. In addition there were 448 reported rapes of minors between January and July 2009. Gangs of adolescents (“maras”) have a large presence in El Salvador. These gangs include more than 10,000 members, usually between the ages of 16 and 18. In spite of the increased violence in El Salvador, the legal system is trying to protect minors. A law on the protection of children and teenagers came into effect in 2010. This allows for the creation of an inclusive national system to protect children and adolescents, with the cooperation of the State, families, and society. The legal penalties for minors, which set out regulations for minors who come into conflict with the law, do ensure that children’s fundamental rights are respected. Both the courts and special services within the judicial system have received support for dealing with children. A social reintegration program for young delinquents has also been set up. Many children cannot attend school, whether because of financial or geographic reasons. El Salvador has undertaken major reforms to their secondary education system in order to rectify this, to significantly improve both access to school and the quality of education. Many children, however, cannot undertake secondary studies because they need to work in order to support their families. 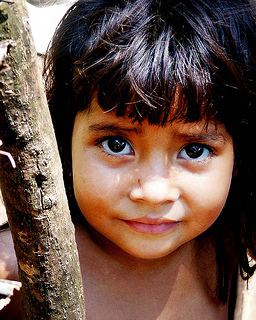 According to the United Nations, over 35 percent of Salvadorian children must work for pay. They usually have jobs on coffee or sugar cane plantations employed as domestic servants or as street vendors. The problem is even more prevalent in rural areas, where the percentage increases to 62 percent. Many families live on less than US $1 per day, and cannot fulfill their own needs. Children will often begin work at 6 or 7 years old. El Salvador’s Constitution, written in 1983, acknowledges the right to free preschool education (4-6 years old). 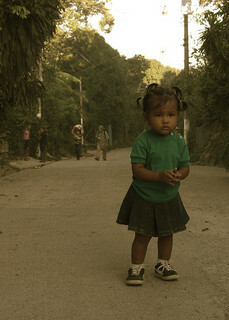 After the age of 7, however, children begin dropping out of school. 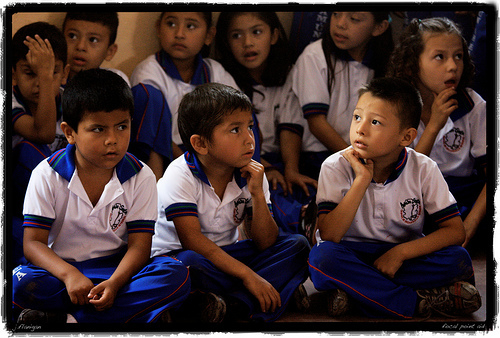 Around 440,000 children are forced to start working from a young age in El Salvador. About 1.8 million minors between the ages of 5 and 17 must work. In downtown La Libertad, 30 percent of the population lives in extreme poverty. Families have no choice but to send their children to markets and dumps to earn money for the house. They work long hours, often in dangerous conditions that expose them to abuse and disease. Children are also employed for domestic or agricultural work. Sugar cane plantations and other places of employment can be hazardous. Two thirds of working children live in rural areas, where more than 55 percent of households live in poverty. The money brought home by children is often essential for these families’ survival. Despite all of this, the constitution has provisions to regulate child labor, although they are often not respected. It is actually illegal for children age 14 and younger to work. After they turn 16, children are allowed to work, but only for a certain number of hours per day. Children under the age of 18 can only be employed in jobs, which are neither dangerous nor unsanitary. El Salvador has also ratified Convention No. 182 of the International Labour Organization (ILO), which forbids the worst forms of child labor and calls for their immediate elimination. Arranged marriages affect millions of children throughout the world, especially young girls. The Family Code allows the marriage of children over the age of 14 in any of these three situations: the children are pubescent, the couple has a child, or the girl is pregnant. According to UNICEF, 5 percent of children aged 15 and younger have already married, and 25 percent of children will be married by age 18. Another problem that children in El Salvador face is being registered in civil records at birth. An estimated 9.8 percent of the Salvadorian population is not registered at birth, and does not have a birth certificate. Around 672,000 children in the country still need to be registered. This is a serious problem, since non-registered children legally do not exist, and cannot obtain citizenship. Non-registered children are allowed access to public health services, but are forbidden from public education. El Salvador must also tackle the problem of HIV/AIDS. Despite many efforts by national authorities since the 1990’s, the rate of infection by HIV has risen, with the virus affecting the most vulnerable groups. About 14,718 cases of HIV infection have been reported. However, an estimated 60 percent of cases are not declared. This problem is more serious in urban areas (making up 60 percent of cases), and affects more women than men. Around 29,000 adults and children are living with HIV/AIDS. In most cases, the virus is transmitted from mother to child. These children run a high risk of marginalization or exclusion from society. Most of them will never be fully welcomed into society. The government started looking for solutions to the epidemic in 1988, but these efforts were hindered by twelve years of civil war. 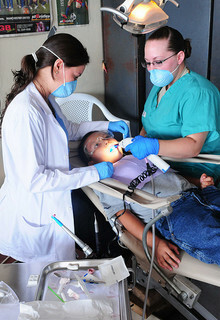 El Salvador has experienced economic, political, and social reconstruction since the end of the conflict in 1992. In 1993, the government created the National Council of AIDS (CONASIDA) to fight once again against HIV/AIDS. The first strategic plan regarding HIV/AIDS was adopted in 1999. The current national plan against HIV/AIDS favors a unified system and includes cooperative efforts between non-governmental organizations, donors, and international organizations. Access to treatment is currently centered on the capital, and is almost exclusively provided by third parties. The government is hoping to decentralize these services, with participation from the public, private, and civil sectors. 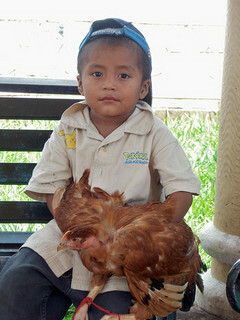 Many children in El Salvador suffer from malnutrition, where 15.5 percent of children in primary school affected. The rate of malnutrition has also been increased by skyrocketing food prices and the rise of gas costs.